If you are planning to invest in PPF in the new financial year to save tax or merely as an investment then here’s why you should do it before April 5. If you plan to invest in PPF in instalments then you should do it before the fifth of every month in which you invest. According to PPF Rules, the interest on PPF deposits is calculated on the minimum balance between the fifth and at the end of the month. The interest on PPF deposits is calculated and becomes due every month but is credited only at the end of the financial year. 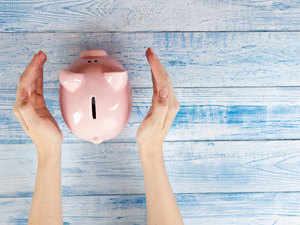 Therefore, if you are planning to invest a lump sum in your PPF account, financial planners recommend that you do it before April 5, in order to get the maximum amount of interest for your deposits. For monthly investments, you must deposit the money in your PPF account before fifth of every month. We have divided by 12 because as mentioned above, interest is calculated on a monthly basis. Therefore, interest that will be due in your PPF account for the month of April will be Rs 1,000. The same amount of interest will be due for the month of May and June as well as the interest rate normally remains the same for one quarter of the year. On the other hand, if the lump-sum deposit was made after April 5, then you would lose out on the interest for the month of April. The difference may not seem much to you but remember PPF account comes with a lock-in period of 15 years. Due to compounding over the long-term, you may lose more money. Assuming an interest rate of 8 percent throughout the lock-in period of 15 years of a PPF account, calculations show that a person depositing Rs 1.5 lakh every year at the start of the financial year (before April 5 each year) will earn approx. Rs 3.6 lakh more than the person who deposits at the end of the financial year. Here the assumption has been made that the individual has made 16 contributions to his/her PPF account. This is because as per the Rule 9 of the Public Provident FundScheme, 1968 on the Income Tax India website, the withdrawal from the fund can be made any time after the expiry of 15 years from the end of the year in which the initial subscription was made by him, thus, giving PPF account a lock-in of 15 years but with 16 annual contributions or 192 monthly contributions. As per current income tax laws, one can invest a maximum of Rs 1.5 lakh in PPF in a single financial year. The investment can be made either as a single lump sum or in maximum 12 monthly contributions. 1. One of the main reasons why PPF is a popular investment choice is that it currently has EEE tax status i.e. principal contributed, interest earned and maturity amount is exempt from tax. However, while investing in PPF one should keep in mind that one cannot invest more than the maximum permissible limit which is currently Rs 1.5 lakh. 2. If you have a PPF account in your own name as well as a separate PPF account in the name of your minor child, then the maximum amount that can be deposited for the both the accounts cannot exceed Rs 1.5 lakh in a single financial year. 3. If you have linked your PPF account with one of your money goals such as child’s education or marriage etc., then remember you can accumulate more by depositing money before the fifth of a month.